The synthetic grass industry began as a solution to help improve inner city youth’s physical fitness during the 1950’s. Strong proponents of artificial grass were The Ford Foundation’s Education Facilities Laboratory in conjunction with Monsanto Industries and Chemstrand. From 1962 through 1966, Chemstrand’s research organization, The Creative Group, tested synthetic turf carpet surfaces for flammability, water drainage and resistance as well as durability levels that included foot traffic. In 1965, Houston’s Astrodome was in desperate need of a dependable playing field since weather conditions did not allow for natural turf. Astrodome developer Judge Hofheinz consulted Monsanto about installing artificial turf. The Houston Astros began their baseball season in 1966 using the newly installed “Chemgrass”, later renamed “Astroturf”, invented by James M. Faria and Robert T. Wright of the Chemstrand Company. Astroturf’s first generation synthetic grass showcased tightly curled nylon fibers woven into a foam backing. Artificial grass was growing popularity that continued through the 1970s with sports arenas throughout the United States and Canada. 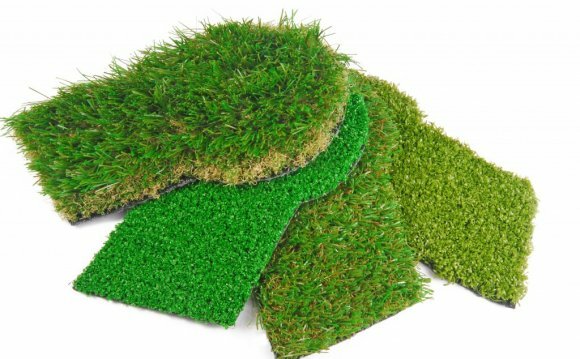 During this time, the artificial turf industry followed the shag carpet trend and introduced “shag turf”. The longer yarns were composed of a softer polypropylene material that was a huge step up from the first generation of artificial turf. Once the mid 1990’s came around, the third generation of artificial turf featured an even softer polyethylene blade fiber. The evolution has continued this day, with multi colored and multi length fibers incorporated into a stronger backing, creating unprecedented realism. The synthetic grass you have on your lawn today is a part of the third generation artificial turf that performs better than a natural lawn without sacrificing realism. We’ve come a long way!